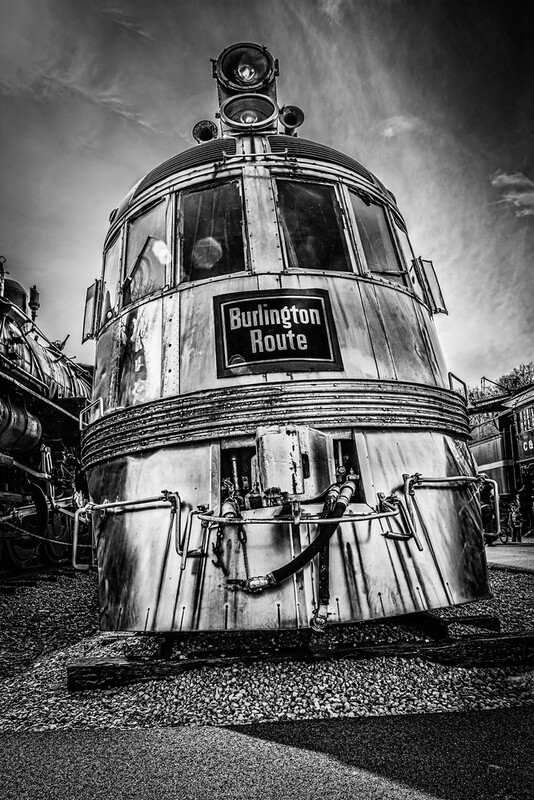 The Burlington Zephyr or Pioneer Zephyr entered service in 1934 and continued until 1960 running in the MIdwest. The Zephyr now resides at St. Louis’s Museum of Transportation. All digital photos are color. Post processing was used to tone the photo and convert to black and white. Most of this was done with Lightroom.